Thank you so much for choosing Mark Your Space, Inc. to wrap your vehicle! We truly appreciate your business and hope that these graphics make you and your business more visible for many, many years to come. 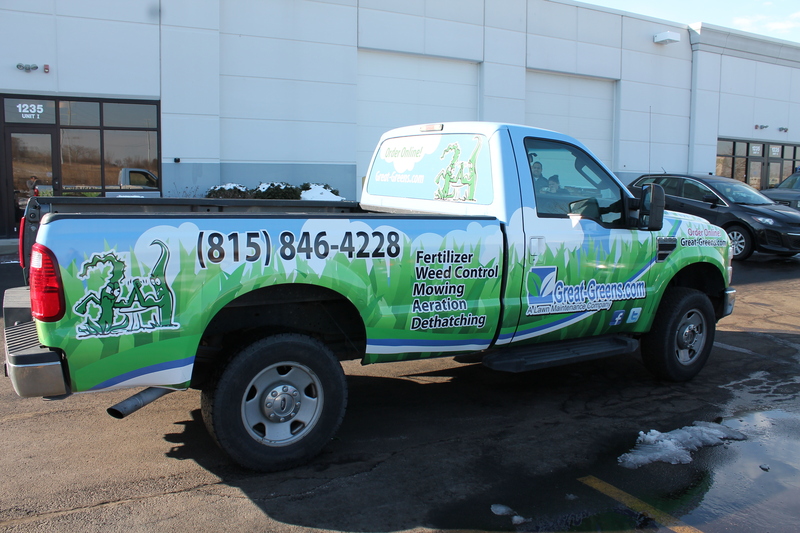 In order to do that, here are a few care & cleaning vehicle graphics quick tips on how to make your vehicle graphics look great for a long time! Allow the vinyl graphics to fully adhere to the vehicle, by waiting at least 72 hours before washing the vehicle after the installation. 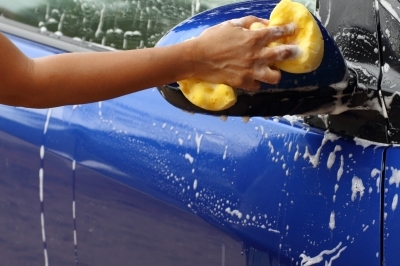 However, if the temperature is below 60 degrees, wait at least 7 days before washing the vehicle. Wash the vehicle when it appears dirty. Contaminants allowed to remain on the vehicle wrap may be more difficult to remove during cleaning.Wash the vehicle, using the wrap care kit that can be purchased through Mark Your Space, Inc. Always rinse it with clean water. Let the vehicle air dry or use a microfiber cloth. If not using the wrap care kit, vinyl graphics should be washed with a sponge and a mixture of mild car wash detergent and clean water. Cleaning solutions should be tested on a small section of the vinyl graphic before using them. Always read the warning labels on car care products to determine if they may be harmful to the vinyl. Wipe off fuel spills immediately to avoid degrading the vinyl and adhesive. Then wash, rinse and dry as soon as possible. Whenever possible, store your vehicle in a garage or at least in a shaded area during the day. If your vehicle is outside most of the day or parked in the direct path of sunlight, take care to ensure the same side or area of the wrap isn’t exposed significantly more than any other area. If your vehicle wrap film starts to discolor or turn brown, immediately contact Mark Your Space, Inc. to remove the vinyl and avoid staining the underlying paint. If you see the film lifting, peeling or any other issues, contact us immediately so we can fix the problem. Do not wash the vehicle excessively. Do not wash with brush-type car washes as they can harm the film and cause edges to lift or chip. Dulling or scratching can also result. Do not apply carnauba-based wax to vinyl graphics. Do not use a scraper to remove ice or snow, only use a brush. Do not use the rear window wipers on window film. Use of windshield wipers on window film will void the warranty. Use a spray nozzle with a 40-degree wide-angle spray pattern. Keep the nozzle at least 1 foot (300 mm) away from the perpendicular (at 90 degrees) to the graphic.